Tons of paddle fun to be had! An extremely fun way to explore our Tauranga waterways and get to know them better. Still new to the ocean? Join a group of people of different sizes, colours, ethnicities, and ages, and learn more about the ocean that surrounds our area. 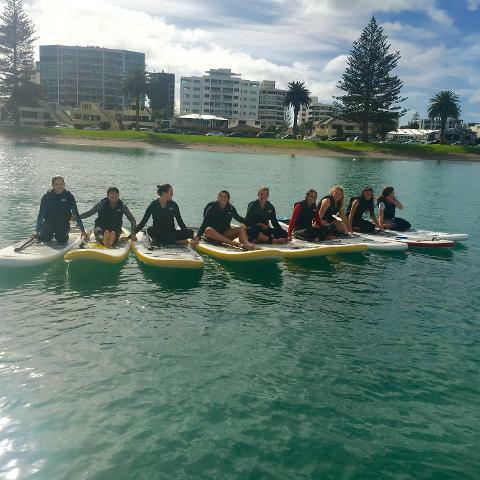 Discover nooks and corners of Tauranga you never knew existed by SUP. Our instructor guide you along until you feel comfortable and confident on the water. You progress and learn together with other willing paddlers. An amazing way to meet new people and develop new skills. The ECP Summer Club is a family of like-minded people who just want to paddle, and who benefit from the well-being gained from being on the water. So Ignite Your Ocean Spirit today...and book your spot on the ECP Summer Club. Register here before making payment.